The amount of snow we've gotten in Maryland has come as a huge surprise for many of us. Our families in GA and NC received an even bigger surprise of snow! Don't forget to fill those bird feeders, supplying food for the local birds to rely on. 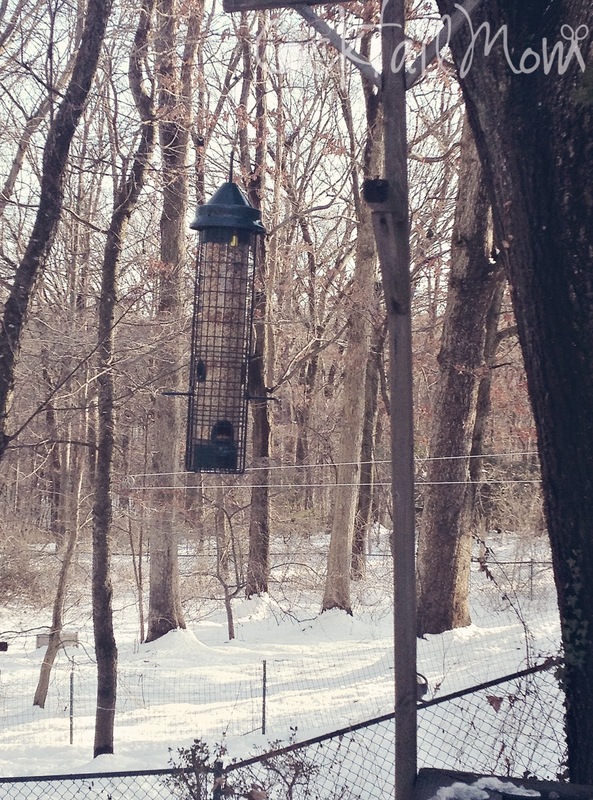 The bird feeder in our yard has become a local hangout and the kids and I have enjoyed bird watching along with researching the different types of birds that frequent our backyard. The book we are using to research the birds is National Geographic's Field Guide to the Birds of Eastern North America. Be sure to clear any snow from the top of your bird feeder and fill it often. Enjoy your new hobby!